Barry Films announced today that multiple Academy Award® and Golden Globe®-nominee Bruce Dern (Nebraska, The Hateful Eight), alongside Owen Teague (“Bloodline”), Valorie Curry (American Pastoral), Chandler Riggs (“The Walking Dead”), and Dash Mihok (“Ray Donovan,” Silver Linings Playbook) have joined Josh Hartnett (Black Hawk Down, Pearl Harbor) and Margarita Levieva (“The Deuce”, The Lincoln Lawyer) in Anthony Jerjen’s (Trained, The End) Inherit the Viper. Based on Andrew Crabtree’s original script, the upcoming crime thriller is produced by Michel Merkt (Elle, Toni Erdmann) and Benito Mueller (The Whistleblower), and executive produced by Wolfgang Mueller (Life) for Barry Films. Principal photography has commenced this week. A searing milieu study into the prescription drug epidemic ravaging West Virginia, Inherit the Viper follows three siblings as they try to escape the spiral of violence that has held them captive since their father’s passing. In these regions left behind by the economy, selling drugs has become their way of survival. A business that is very hard to quit – at least not alive. Teague rounds out the principal cast playing Boots, the third sibling to Kip (Hartnett) and Josie (Levieva), whose naive impatience to participate in their opioids business brings the family into deadly waters. “I am very excited to have been blessed with such an exceptional cast and team to bring this important story to the screen,” said Director Anthony Jerjen. 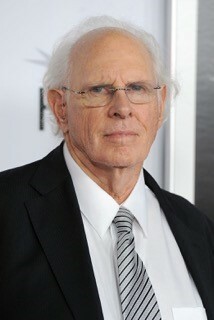 Dern received Academy Award nominations for his roles in Nebraska and Coming Home and has appeared in over 100 films. He most recently appeared in Netflix hit Our Souls at Night alongside Jane Fonda and Robert Redford. He next portrays Joe Kennedy in Chappaquiddick, which will be released this April, and then co-stars in Sony Pictures' White Boy Rick opposite Matthew McConaughey in August. Teague starred in Netflix’s acclaimed drama series “Bloodline”, and also recently appeared in New Line Cinema's Stephen King horror thriller adaptation It. He just wrapped production on Michael Sucsy’s Every Day, which will be released in February. Curry currently stars in Amazon Studios’ “The Tick” and recently appeared in Ewan McGregor’s American Pastoral alongside McGregor and Jennifer Connelly for Lionsgate, as well as Fox’s “The Following”. Riggs was nominated and has won numerous awards for his performance in AMC’s “The Walking Dead,” and recently starred in Screen Gems’ horror thriller Keep Watching alongside Bella Thorne. Mihok currently stars on Showtime’s “Ray Donovan,” and can be seen in the indies Quest and The Girl Who Invented Kissing.